I have loved every second of this course, I have acquired life-changing skills, I don’t want it to end. The learning experience has been enriching, supportive, wonderful. 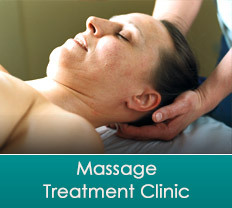 Bristol College of Massage and Bodywork is a not for profit company offering massage training in Bristol and Worcester. Founded by Andy Fagg in 1986, we provide a high quality, person-centred approach to massage and bodywork at introductory, practitioner and advanced levels. Introductory Holistic Massage Workshops in Bristol and Worcester. The 2-day workshops will give you effective massage skills to use with friends and family. Also a great taster should you be interested in training further with us. Massage Practice Days and Massage Supervision Groups to refresh your skills. Advanced CPD Workshops, for professional bodyworkers, to extend your skills in specific areas. Members of our teaching team are available during the week for massage treatment sessions in Bristol. We also run low cost regular clinic sessions with our students and graduates.